The Beverley Folk Festival 16 – 18 June 2017 is set to be another rip roaring success. There is a long list of performers already booked to appear. As with other folk fests you also get ‘Pub Stuff’ in various hostelries around the town. The White Horse, or ‘Nellie’s’ to the locals, dates back to the 16th century and was the birthplace of the festival. I am told that the pub still uses the original gas lamps but that the beer is definitely not too gassy. The Sun Inn as usual is a strong supporter of live music and fine beer. Cor shine a light. Tiger Inn will be a roaring success. The Forrestors Arms, Durham Ox, The Monks Walk, Hodgsons and down in the Westwood The Woolpack are all on hand for a good pint or three. The Wold Top bar at the festival village will obviously feature the local brew. After all this why not take a coach home. 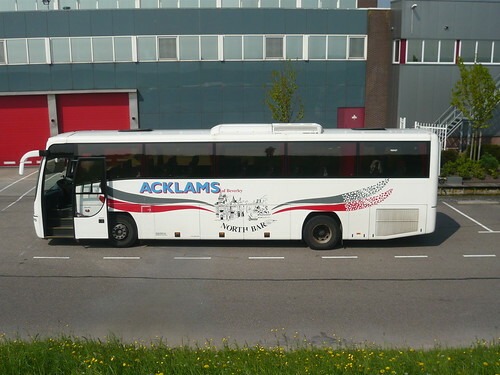 This Beverley bus was spotted in Volendam in the Netherlands at the week end. I hope all the trippers make it back home for the festival. Stained glass is the long practices art of manipulating coloured light within an architectural context. York Minster is a great exponent of this art. Disused medieval chapels in York are put to many uses but the Bedern Glaziers Studio is one of the more appropriate. The former chapel of the Vicars Choral, the Bedern chapel in York has been transformed into an open access conservation studio by York Glaziers Trust . Here you can see conservation of the York Minster Great East Window originally made between 1405-1408 by master glazier John Thornton. It was removed from the Minster in 2008 for a 5 year restoration project. Cleaning the glass and repositioning dislodged pieces will be enhanced by the removal of mending leads from the past which disfigured the window. It will then be encased in clear glass and replaced in the Minster. 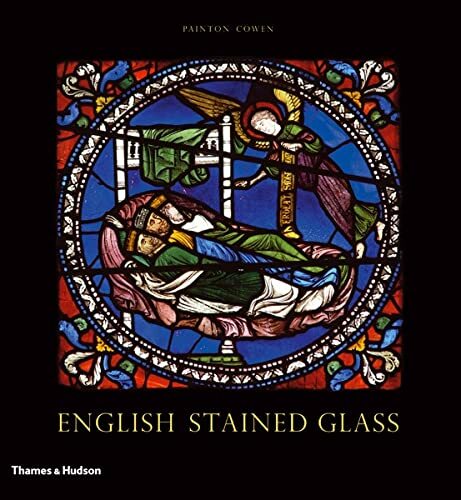 For over 40 years the York Glaziers Trust has been involved in a range projects all over Britain, working on glass from the 12th to the 20th centuries. Recently they were working on four large panels for the Victorian manufactured west window of Beverley Minster. 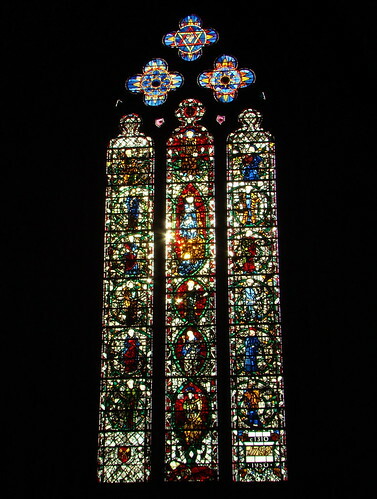 The vast window which depicts figures and events connected with the early history of Christianity in Northumbria was influenced by AW Pugin. Guided tours of the studio are available on Wednesday and Friday afternoon by pre-booking at the Minster. Group visits and Connoisseurs Tours are also available. An interesting and informative experience. The largest number of panels is devoted to the Apocalypse, the events that will herald the end of the World and the Second Coming of Christ. 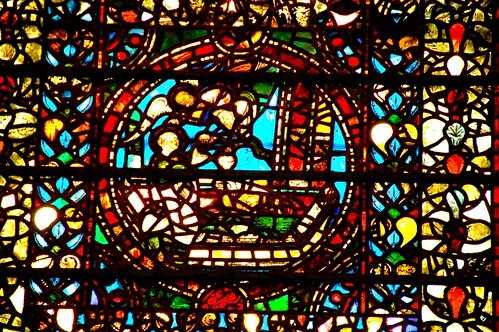 The glass was removed in 2008 as a prelude to the major restoration of the east façade, providing a once-in-a-life-time opportunity to conserve and protect this medieval masterpiece. 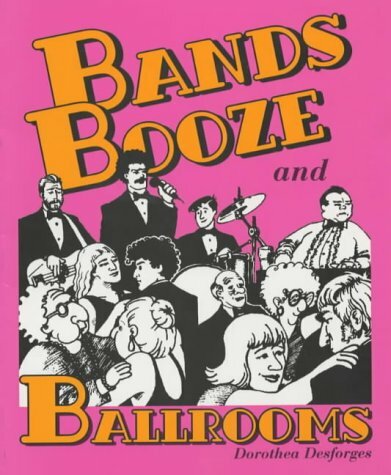 Whilst this book features Dancing in the East Riding there is a lot more going off in Yorkshire. I am always surprised at nthe number of dance venues still functioning for classes, medals and competitions. Undoubtedly a healthy pastime for a great many people it is good to feel a resurgence for dance. The 2012 Olympics created the idea of a 2012 dancers getting fit by dancing in city centres. A more traditional programme of dance events is on Dance Yorkshires web site. Yorkshire Dance in Leeds is a charity based operation that offers training courses and more dance related activities. It has just received more funding from The Arts Council for a Lift project to develop the work and careers of a selected group of talented dance practitioners. There will be an expert career mentoring programme and support for artists. The Riley Theatre is based at the Northern School of Contemporary Dance and runs an edgy programme and various courses. The Russians have the kosack, the Spanish the flamenco. If Yorkshire had a dance of its own, it’d involve swilling a pint of Tetley’s to and fro in front of the football while shouting ‘Leeds! Leeds! Leeds!’. Thankfully they don’t teach you the ins and outs of that dazzling composition, but you could learn some more credible forms of groove — street, jazz, tap and ballet are just a few of the jigs that you could be mastering here. Jangle that spangle, girlfriend. according to the Itchy guide. The guy’s a bit confused and says, “Butcher Dance? What’s that, I thought I knew all the worlds great dances?” After a great deal of persuasion he gets an invite to the local dance hall. With great excitement because he believes he has uncovered a great new dance format he turns up at the appointed time. A deathly hush descends over performers and spectators. The guy is becoming caught up in the fervour of the moment himself. This is it. He is about to witness the ultimate performance of rhythm and movement ever conceived by mankind. From somewhere the rhythmic pounding of drums booms out and locals begin to sway to the stirring rhythm. Then he hears “You butch yer right arm in. You butch yer right arm out. 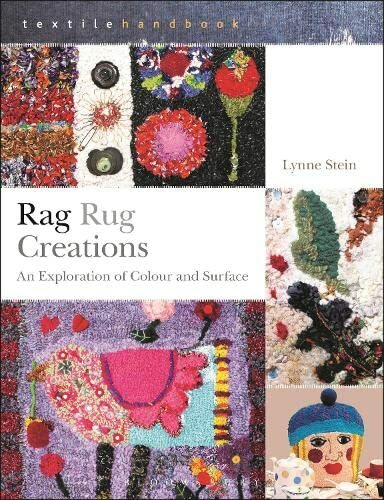 You butch yer right arm in and you shake it all about…..
Rag rugs remains have been found in old Celtic and Viking homes and the making of rugs from rags is still practiced in Yorkshire. As the pictures imply there have been style changes as the availability of rag material has changed (some might argue improved). This is a new world of Proddies, Poggies, Clippies or Latch Hooks some of the tools of the trade to push the rags through the hessian. 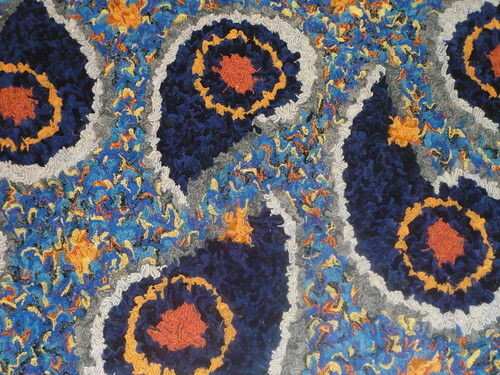 The process is now a little more complex as the rugs have become art objects often used as wall hangings or decorations. 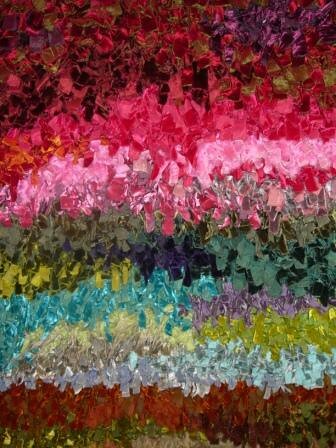 Rag rugs are sometimes called Tab Rugs, Peg Rugs and Clootie Basses. Here in West Yorkshire the popularity of groups where people to get together to mat ‘n’ chat is growing. “It’s a nice communal thing to do, to sit with your rug.’ According to Jenny Salton, Museums Officer at Tolson museum Huddersfield. The Ebor Ruggers,including rugs by Louisa and Lewis Creed. After waiting for God only knows how many decades (well 6.9 actually) the Mirfield lad made good with an OBE in 2001 and a Knighthood (KBE) in 2009. He was the Chancellor of the University of Huddersfield. ‘Sir Pat’ is also a Patron of Refuge, the national charity supporting women and children who are victims of domestic violence and has sponsored a scholarship for a three-year full-time doctoral study in the area of children and domestic violence at Huddersfield. Patrick Stewart has also been a committed human rights activist. He tells the story of how he got involved in human rights advocacy when he heard of an Eastern European theater troupe that got jailed for trying to perform a Shakespeare play. ‘Something is rotten in the state of Denmark’ may be an apposite quote from Hamlet. As CNN said the ‘Queen says make it so‘ and we want to add our congratulations to Sir Patrick. 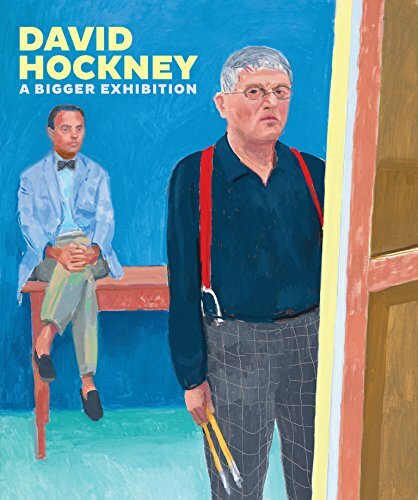 This representation of David Hockney’s work reflects many of his interests and insights. His mother Laura is the central theme as she remained throughout her life. 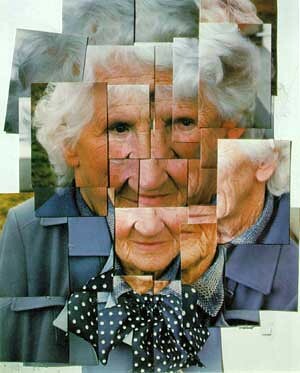 The photo-collage method was created in the 1980 whist David was touring America and his collages of the Grand Canyon and Zion Canyon, Utah are on display at Salts Mill Saltaire. These collages challenge conventional ways of looking at art and are just one of the innovations David has brought to the public’s attention. 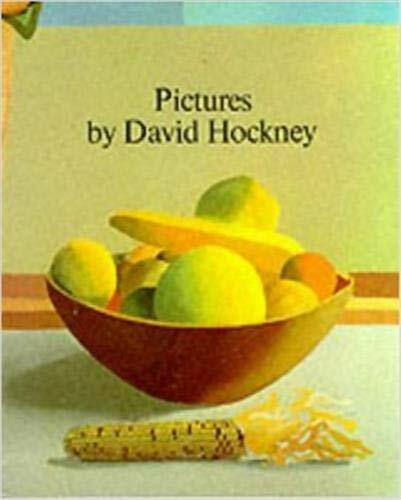 David has been keen to engage with his audiences in colourful and communicative ways. Born in Bradford on 9th July 1937 of Bradford parents. He was a conscientious objector during national service. 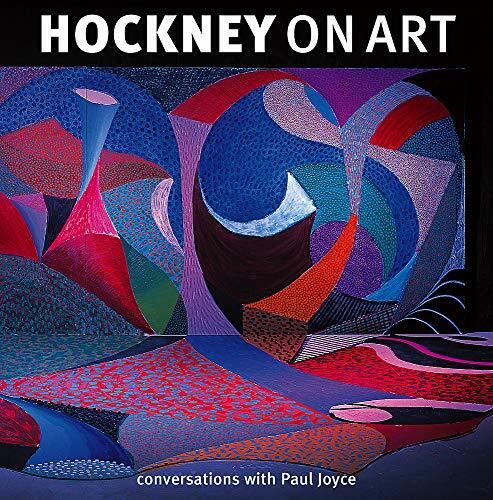 His brother Paul Hockney was one time Lord Mayor of Bradford. After London life, post college David moved to New York and then Santa Monica in California where he produced much of his Oeuvre including swimming pool series and paintings of lithe young men. Hockney’s largest painting, ‘Bigger Trees Near Warter’, which measures 15’x40′, was hung in the Royal Academy’s largest gallery in their annual Summer Exhibition 2007. 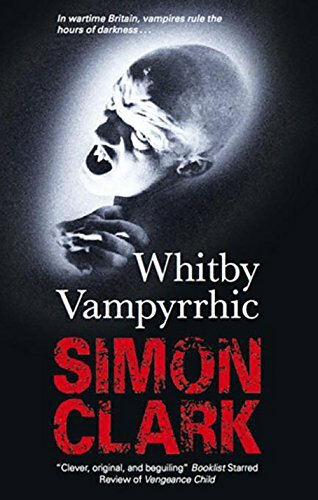 It is currently on display at York Art Gallery until 12 June 2011. 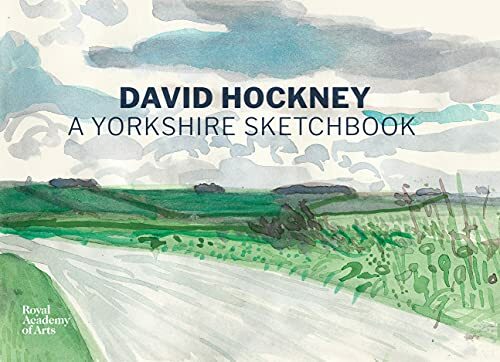 Hockney’s Garrow Hill is a depiction of the rolling Yorkshire Moors, streams and patchwork fields. It will be used at the Chelsea Flowers show by Kate Dundas and Esther Kilner as the inspiration for their garden exhibit. Art in Yorkshire is a celebration in 19 galleries throughout Yorkshire of works from the Tate collections. 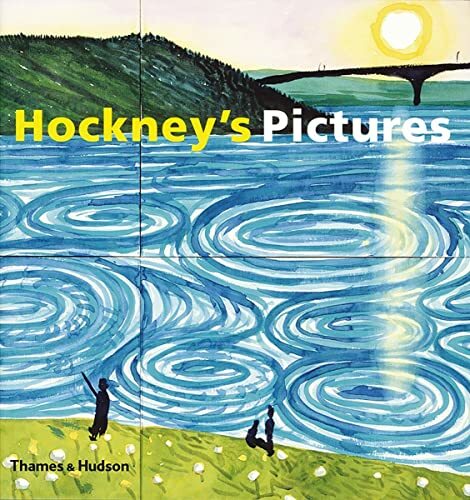 The Hockney Gallery in Saltaire has many works on display and a large range of products available to purchase. I particularly like the early opera sets on the top floor. It is said that ‘The beauty of Yorkshire’s landscape moved the great British painter JMW Turner to tears’. No surprise there then for Yorkshire folk who are lucky enough to live and travel in the county. “Turner loved Yorkshire and visited around 70 places across the county, sketching and painting – a great example of dramatic and inspiring Yorkshire’s landscapes” Garry Verity Welcome to Yorkshire. 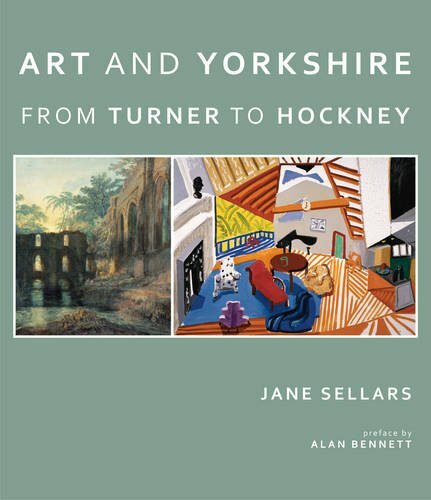 Considering just one location we can see JWM Turners abiding interest in Yorkshire. Hackfall Woods was famous as one of the finest and largest wild gardens in Britain where Turner’s many sketches resulted in two finished watercolours. Today it is much-loved hidden gem. 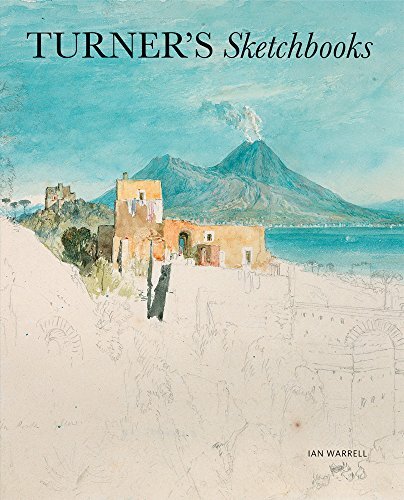 In the car park, you could see a copy of Turner’s painting displayed alongside that of local artist, Ian Scott Massie who was commissioned to capture the same landscape three centuries later. More of Turner’s work is on display in the nearby Masham Gallery.